Hello! I wanted to let you know of a few big sales happening right now. Also, I will be posting less about sales here on my blog. However, I will always update my Crafty Sales Page that you can find HERE. Please bookmark it to check back before you shop! Be sure to visit the websites for any fine print, restrictions, etc! Please let me know if you see any errors in the sale info! I will update this post as I learn of more deals. Affiliate links may be used at no cost to you. Thank you for your support! Please know I only support legitimate companies and small businesses with original designs and good people. xo. I will be constantly be donating a portion of my affiliate sales from this page to a good cause. The current cause? To help my friend Gumption who is working to rebuild the home of a good man named Andy on Virgin Gorda. His home was damaged significantly during the hurricane. ELLEN HUTSON — Dies are 20% off at Ellen Hutson! Use the code “WELOVEDIES19” through 4/17/19. Shop HERE. Check out the amazing Steals and Deals! Hurry – while supplies last only. Shop HERE. Get 25% off all WPlus9 stamps and dies at Simon Says Stamp! No code required. Shop HERE. Get a free “O Frap” stamp with the purchase of any Art Impressions product. While supplies last. Shop HERE. CONCORD & 9TH — GREAT savings over at Concord & 9th! Save 20% off all Turnabout Stamps! Good through 5/08/19. No coded needed – while supplies last – price as marked. Shop HERE. Save 30% to 50% off the Last Chance items. Price as marked – while supplies last. Shop HERE. Spend $60 at Concord & 9th and get the Gem Dies for FREE! Spend $120 and get the Gem Turnabout Stamp for FREE. Limited time only. Shop HERE. Find details and fine print at Concord & 9th. TAYLORED EXPRESSIONS – Purchase any select Easter/spring products at Taylored Expressions and you can pick another select spring/Easter product of equal or lesser value for 50% off. Good through 4/21/19. Shop HERE. 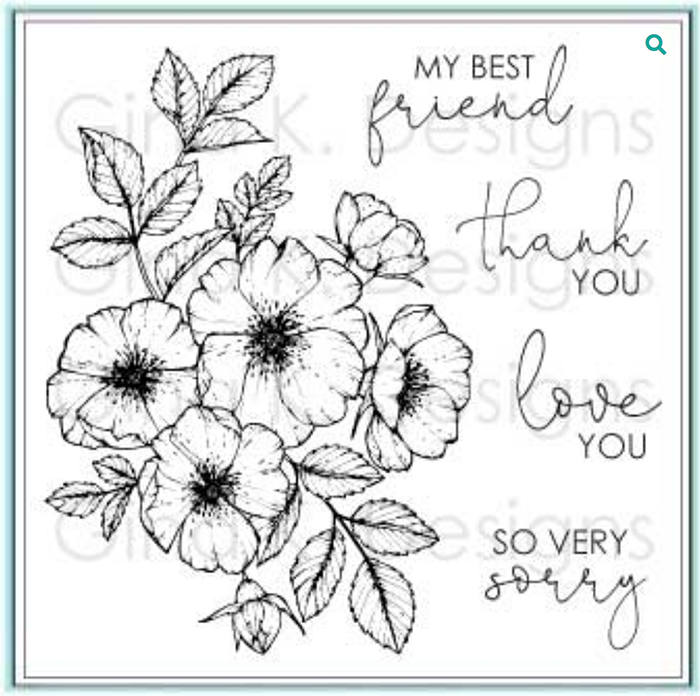 On 4/15/19 only, get a FREE gift (a cute stamp set!) with every order. Shop HERE. Get up to 45% off the items in Sale Collection through 4/21/19 – no code needed. Shop HERE. HONEY BEE STAMPS — Check out the Clearance section – with tons of new items added! Shop HERE. TOPFLIGHT STAMPS — Save 25% off all orders over $75 at Topflight Stamps. Use the code “EGG25” through 4/20/19. Shop HERE. HALLMARK SCRAPBOOK & CRAFTS – Huge steals over at Hallmark! Find them HERE. Thanks jennifer for your help to another people or group of people and thanks for posting less sales on your blog, well in the category I’m referring too, the sales. It’s not fun to get these emails. I’d rather get e-mails from you, your projects, haul, etc.. I appreciate the less crafty sales post as well. Jennifer, thank you for keeping us up to date on the sales. I usually don’t purchase until there’s a sale of things on my want list so it’s very helpful having all the sale info at hand. I do appreciate it! I also appreciate less sales posts too. It’s all become overwhelming with constant barrage of sales. Thank you so much!! You are always so kind and helpful!! You are a light in my day!! BLACK FRIDAY SALES… 45+ Deals!